Jianzhou is a Steppe Horde located in east Asia bordering Korea, Haixi, Yeren and Ming. It's also one of the 3 Manchurian hordes capable of forming Manchu and by extension Qing. Their starting ruler is from the Aisin Gioro clan, which historically united the Jurchen tribes and established the Chinese Qing Dynasty in 1644. In 1584, the Khan Nurhaci managed to unite all the Tungusian tribes, the so-called Kin-Tungus, later known as Manchus. He also reformed government, administration and the judicial system with China as model. Nurhachi also invented the written Manchurian language. In order be able to form Manchu, Jianzhou will need to complete this decision. With the three capitals of the ancient Jurchen tribes firmly in our hands, it is now time to proclaim our people's unification and let the entire world know that Manchurians are now one. has Manchu as primary culture. Girin (730), Hinggan (1053) and Huncun (2108). moves its capital to Girin (730). gains cores on all not cored provinces of North Ilin Hala, South Ilin Hala, Ningguta, South Jilin, Liaoning, and Central Heilongjiang. gains permanent claims on all not owned provinces of West Heilongjiangord and East Heilongjiangord. 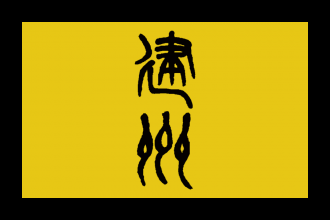 By conquering the three capitals of the Jurchen tribes, we will be able to unite Manchurians under our rule. The provinces Girin (730), Hinggan (1053) and Huncun (2108). is Jianzhou, Haixi or Yeren. does not own all target provinces. has not completed successfully this mission before. This country owns all target provinces. This country is a subject nation but not a tributary state. Jianzhou has perhaps the strongest start of the three Jurchen tribes, as it has more starting development than its direct competitors, Haixi and Yeren. However, Jianzhou's expansion opportunities are also more limited than the other tribes, as Ming is unassailable in the early game, and Korea often allies with them, leaving only the other Jurchen tribes as potential targets. The Girin node is very poor and so it is generally not worth building Light Ships to Protect Trade in this node, though Privateering in Hanzong can be profitable until Jianzhou can reasonably control the Beijing node. Jianzhou is a Tengri nation and is syncretic with Confucian at game start. Maintaining Confucian syncretism is recommended for the early game as nearly all territory nearby is either Tengri or Confucian already. Some patience may prove valuable for a player at the very beginning of the game. Haixi and Yeren will be the player's rivals in nearly all Jianzhou starts. One of Korchin or Korea will often rival the player as well. This makes the list of potential allies quite short; in general, the strongest defensive option is Oirat, and an alliance with the Oirat should be obtained if at all possible. Korea is also a decent defensive alliance if they have not rivaled Jianzhou, but due to their borders, they will not accept a Call to Arms for territory promises as they cannot core land in Haixi or Yeren. Korchin may be useful if the player intends to go to war with the intent of calling them in for territory, and then betraying them in the peace deal; once Haixi or Yeren lose territory, Korchin will nearly always select Jianzhou as its next rival anyways. Build up Jianzhou's army to the force limit, with Cavalry if the treasury can afford it, and wait on the borders of Haixi or Yeren. Thanks to the Tribal Feud CB, a war will start soon. Once this happens, the Jianzhou player should declare war and try their best to 'steal' as much territory from the losing party as possible. In general, it is best to annex as much territory as possible. Even taking slightly over 100% Overextension is acceptable, because due to the Razing functionality for Steppe Hordes, the Development in razed provinces will drop and by doing so lower Overextension as well. Razing will often provide almost enough Administrative Points to core the newly razed province, and will often grant Diplomatic and Military Points as well. If the player fully annexed the target nation, at their option they may release them as a vassal, though this is not recommended for Haixi and Yeren due to these nations containing provinces needed to form Manchu. After destroying or severely reducing one of Jianzhou's neighboring tribes, Korchin will likely rival the player, so the player may choose to wait to see if Korchin and the remaining Jurchen tribe go to war, while consolidating their new gains. If Jianzhou fully annexed Yeren, Buryatia is an excellent new target if available due to their gold mine. Korea or Ming should generally be left for after forming Manchu, unless Korea is caught without any alliances whatsoever. AI nations should no longer ally if they could be called into an ongoing war, so the player should now be safe from Korea reallying with Ming, or anyone else, while the war is in progress. If Ming decides to issue a warning to Jianzhou, be aware that they will only be called in if the Jianzhou player attacks a nation that also borders Ming, so Yeren or Buryatia may still be safely attacked (unless national borders have changed drastically). Once two nations in the area have been annexed by the player, the remaining two nations will be easy targets for the strong Jianzhou army as they will always have rivaled each other. The player should carefully check alliances before declaring war, however, as an unexpected alliance with Oirat or Korea can make the war unexpectedly brutal. Once the local area has been annexed, generally up to Mongolia in the west and Ming/ Korea in the south, the player can choose to form Manchu. Now that the state religion of Manchu remains Tengri, there are no longer any downsides to taking this decision. Please see the Manchu article for further strategy.